The grants, which will go to existing health centers in Alexandria, Danville, Laurel Fork, Portsmouth, Richmond, Roanoke and Saltville, will be used to expand mental health services, as well increase the coordination, collaboration, and integration of primary and behavioral health care services at these locations. 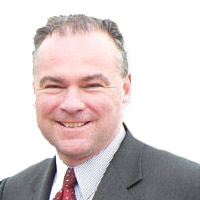 Kaine is a strong supporter of community health centers. Earlier this year, he sent a letter along with colleagues to the Senate Appropriations Committee supporting continued funding for community health centers in FY2015.